My name is Yolanda Shaw-Shields. My skills and areas of expertise include bookkeeping, secretarial work, invoicing, payroll services, certification package completion and operations. 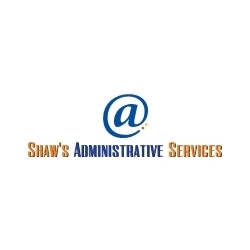 My professional title is Owner at Shaw's Administrative Services, which specializes in administrative support services for small businesses. I received my Bachelor of Science degree in Business Administration from University of Phoenix. I am currently involved with National Society of Tax Professionals and American Institute of Professional Bookkeepers. My hobbies and interests include relaxing and spending time with my family. I am drawn to and passionate about charitable organizations such as Youth V.I.B.E., where I volunteer.